Highly anticipated: After what seemed like an eternity of waiting and hype, CD Projekt Red finally revealed the trailer for Cyberpunk 2077 at E3 earlier this month. The new question on everybody’s lips is: when's the release date? Sadly, it could be a long way off. 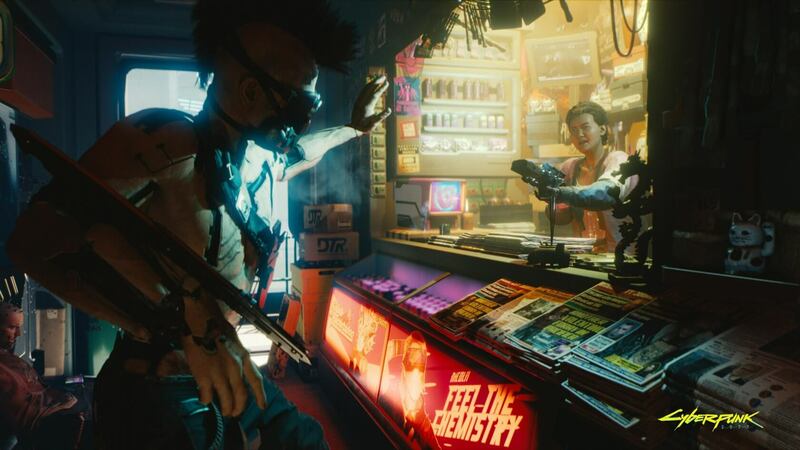 In addition to the cinematic trailer shown off at the event, there was a behind-closed-doors, hands-off demo of Cyberpunk 2077. The response from those who witnessed it has been overwhelmingly positive, with some calling it the best E3 demo in years. So, why hasn’t the company released any footage to the public? According to CEO Adam Kiciński, because it’s still in a pre-alpha state. “This is the most polished part of the game we have now, prepared in some sense to show it to people outside the company,” said CD Projekt chief financial officer Piotr Nielubowicz. As it proved with The Witcher 3, the studio isn’t one for releasing a game until it’s completely happy with the end product—even if that means delaying scheduled release dates. If Geralt of Rivia’s third outing is anything to go by, Cyberpunk 2077 will be worth the wait. While an exact launch time is still unclear, analysts have predicted late 2019 or early 2020. As VG247 noted, original Cyberpunk creator Mike Pond told YouTuber YongYea at E3: "I waited 30 years to get this. It was worth it. You guys can wait a few more years."